Strategically designed hillside course. The fairways are undulated with many mounds. Especially because the landing areas for the tee shots are small, the strategic planning at the tee shots of the targets and club selection for the second shot is necessary. 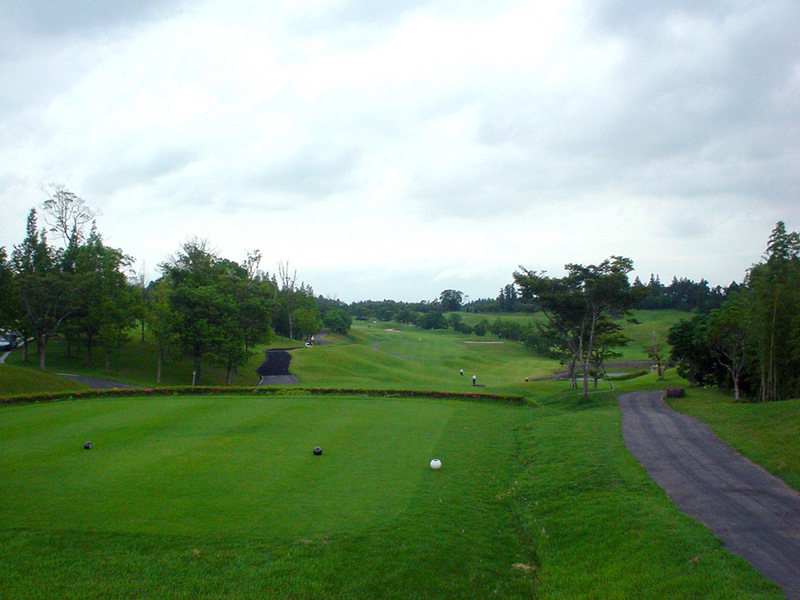 Another character of the course is long, big and undulating green. Since the longest green is over 50 yards long and each green has moderate slopes, the putting is difficult, but interesting. A dogleg to the right hole with downhill second shot and uphill third shot. Long hitters can reach the green in two shots, however OB behind the elevated green together with a bunker in front of the green make this hole difficult. Since the lie for the second shots tend to be a ball below the feet, it might be safer to lay up before the pond in stead of aiming over the pond. The third shot is not easy either. A sharp dogleg to the right hole almost at right angle going around the lake on the right. There is a continuous line of woods on the left which makes the landing area of the tee shot even tighter. The exquisite disposition of the wood, pine trees on the left of the green as well as the pond forms the beauty of the hole. A beautiful hole with gentle dogleg to the right along a lake on the right. 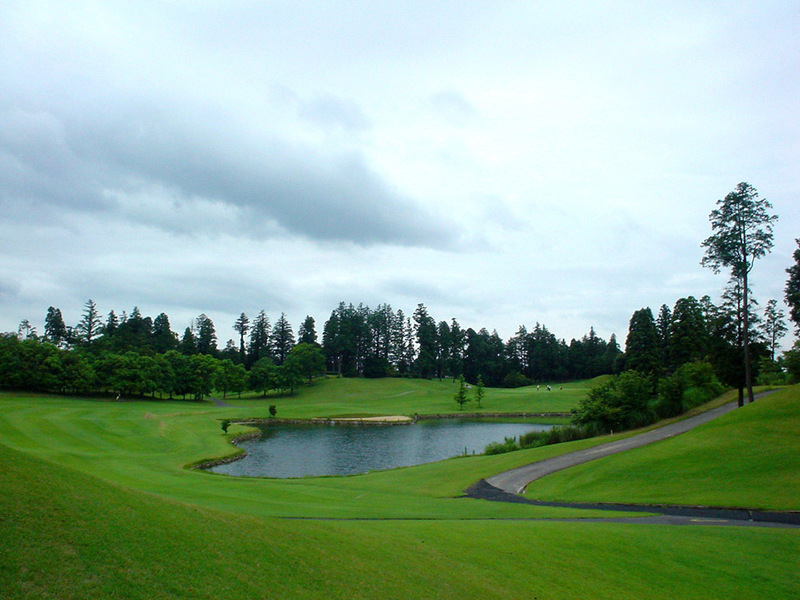 The players can aim for birdie due to the short distance. However if the pin position is right front, a pond in front of the green makes the approach shot nervous one. Downhill tee shot and uphill second shot. If the tee shot goes to right slightly, the ball will end up in the rough which is lower than the fairway. If the tee shot goes to right even further, the ball will end up in the pond. Since the second shot from the rough is a very difficult one due to an extreme uphill towards deep green with OB on the left and a grass bunker on the right, rough on the right of the fairway must be avoided. A drastic par 3 over a ravine which looks 50m deep. There are hazards not only in front of the green but also on both sides of the green. There is a grass bunker on the back of the green as well. 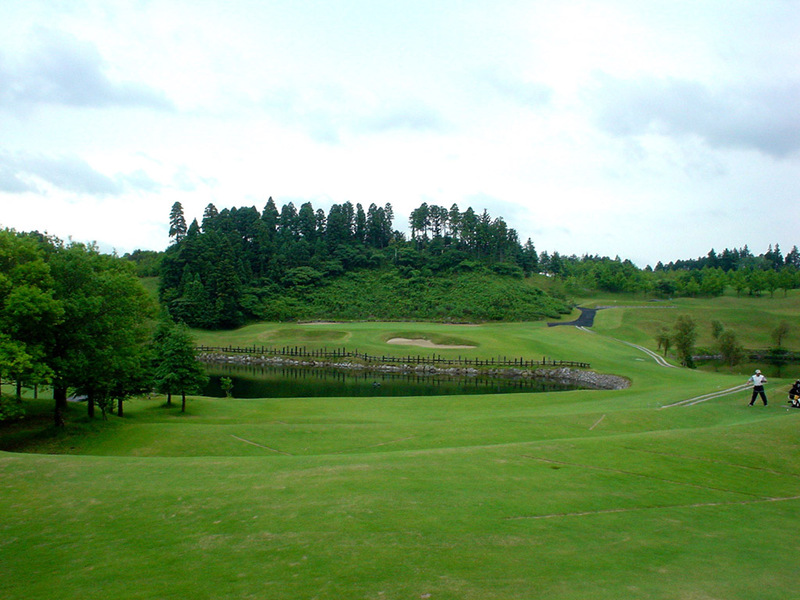 Since the green is sloping steeply from back to front, the players cannot take it easy even after one-on to the green. This is a wonderfully designed hole by taking advantage of the natural setup. Booking can be done on the line through internet golf agencies. 20 minutes drive from Narita airport. The noise of airplanes might be annoying since they fly right above the course. However departing airplane looks dynamic. Members’ introduction on weekdays and members’ company on weekends are necessary.